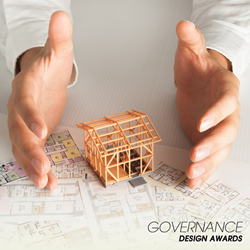 The A' Governance and Public Services Design Award admits submissions of entries by universities, institutions, governments, municipalities, social scientists, system designers and associations worldwide. In addition, the A' Governance and Public Services Design Award Competition is accepting submissions in many different projects such as e-governance platforms, public services, subsidizing culture and design. Late deadline for nominations to the A' Governance and Public Services Design Award is on March 15, 2018 and results of the competition will be announced to public on April 15, 2018. Winners of the A' Governance and Public Services Design Awards will be awarded the A' Design Prize which includes professional certificate and trophy, a lifetime license to use the award winner logo, yearbook of best design projects, exhibitions of awarded design works in Italy, two personal invitation to participate in the A' Design Awards’ Gala Night, translation of awarded design works into several languages, invitation to Prime Clubs, as well as inclusion in World Design Rankings, Designer Rankings, and inclusion in Governance and Public Services Design Classifications and a feature at Design Legends platform. Besides, winners of the A' Governance and Public Services Design Awards will get an exclusive interview which will be published at Design Interviews website. All laureates will also receive a press release prepared to announce their achievement in the A' Design Award and Competition. In order to honor awarded designers and companies, a very comprehensive press kit will be prepared that includes an exclusive interview with the winners, press release for award announcement, design and designer's photographs, logos of the designer and their client, as well as many different high- resolution images of other design projects by the designer, for added exposure.